Hello, and welcome back to Anime April. Haven't heard of Anime April? Click this linkopens a new window to check out last week's blog! Japanese animation, or anime, covers a wide spectrum of genres and tastes. Fans of all kinds of shows and movies can find something they like in the anime style, if they look hard enough. This week, we will be highlighting series based on Japanese folklore, history, and mythology! Strap yourselves in and prepare to be both entertained and educated. Based on the manga of the same nameopens a new window and written by acclaimed artist Rumiko Takahashi of Ranma 1/2 fame, Inuyasha centers on Japanese schoolgirl Kagome Higurashi and her relationship with the title character. In a previous lifetime, the sacred priestess Kikyo and her lover Inuyasha were betrayed by the demon Naraku. The jewel she guarded became tainted by the betrayal and their soured romance. Kikyo is killed and, blaming Inuyasha, traps him to a sacred tree before she dies of her wounds. Centuries later, Kagome's family live in modern times and her family guards the Sacred Tree and a mystical well. One day, Kagome is pulled into the well and winds up back in feudal times, where demons and magic are alive and well. Unaware she is the reincarnation of Kikyo, she inadvertently brings the tainted jewel back to the past, and together with Inuyasha, they must defeat Naraku and cleanse the jewel. 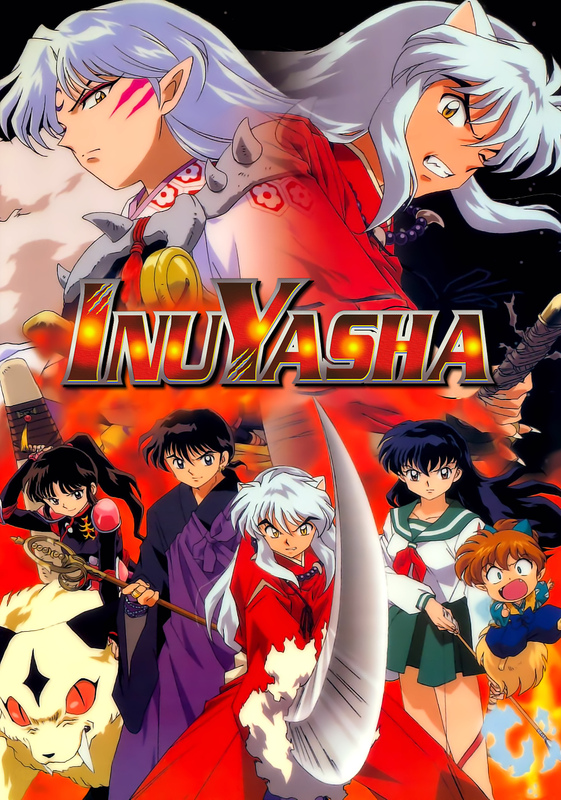 Inuyasha enjoyed widespread popularity on Cartoon Network from 2002 to 2016. Later that year, Cartoon Network picked up the final season, re-branded as Inuyasha: The Final Act. The show also spawned several movies . The Twelve Kingdoms is based on a series of novelsopens a new window by Fuyumi Omi, published after 1992. The anime was produced by Pierrot, dubbed and released in 2002. 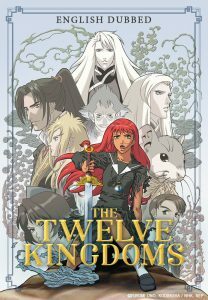 The Twelve Kingdoms follows the exploits of Youko Nakajima (the protagonist of the first novel) as she is whisked away to a parallel world. Youko is charged with leading the Kingdom of Kei alongside her guardian kirin, Keiki, and protecting Kei from the machinations of the other eleven rival kingdoms. The world of The Twelve Kingdoms is loosely based mythological China. While other novels in the series had their own protagonists and characters, Youko remains relevant throughout the anime and acts as a relatable framing device for viewers. While The Twelve Kingdoms is not known for being comedic, it makes up for this by providing a lush setting and backstory, allowing viewers to learn and appreciate this fantasy world. 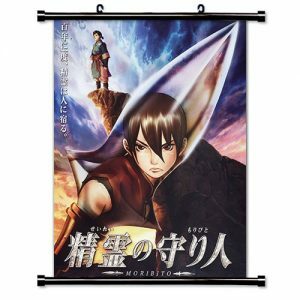 Moribito: Guardian of the Spirit is another series based on a novelopens a new window by Nahoko Uehashi. While there are twelve novels, only the first, Guardian of the Spirit, has been adapted into other media. Moribito follows two protagonists, Balsa the Spearwoman and Chagum, Prince of Yogo. Balsa saves the prince from drowning and is invited to meet his mother, the Empress. She charges Balsa with protecting her son, because his father the Emperor is trying to kill him. While protecting him, Chagum learns much about life outside the palace, before finally realizing his destiny as the Guardian of the Spirit. Balsa is on her own quest to save a number of people, in return for being saved herself as a child. Moribito's twenty-six episodes were aired on Cartoon Network in 2009. Highlights of the anime include cultural depth, mysticism, and strong character portrayals and growth. That concludes this week's blog. Stay tuned next week for Part Three of Anime April! Want to find something else? Feel free to use our catalogopens a new window to search for these and other items you may be interested in.